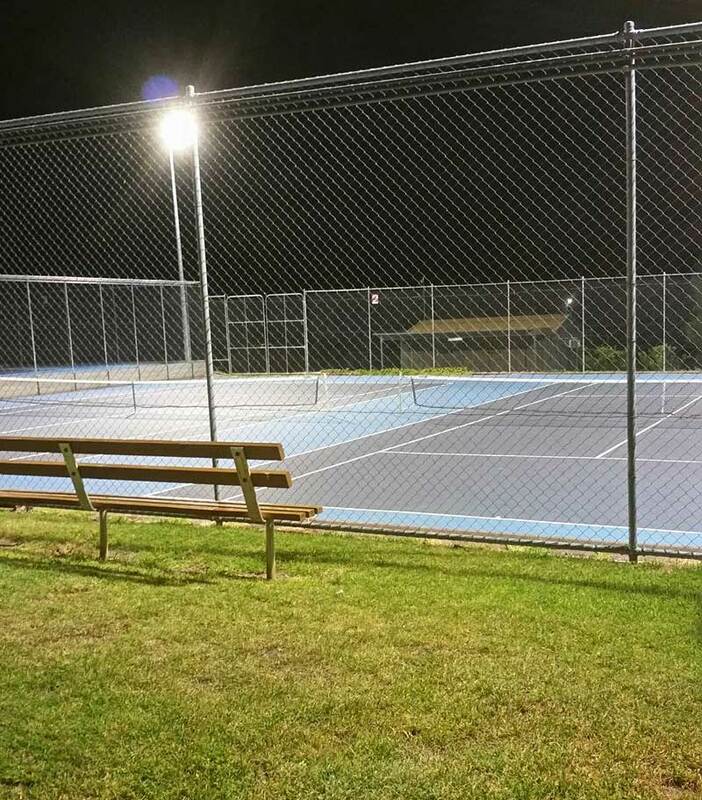 Reynella tennis club is a family friendly club with a long history located at the Reynella Sports and Social Complex. Our courts are located at the southern end of the Reynella football oval (opposite Romeo’s Foodland), Oval Road, Old Reynella. We are affiliated (along with the Cricket, Football, Lawn Bowls, Air rifle and Netball clubs) with the Reynella Sports and Social Club, which operates the licensed club at Reynella Oval. The Club invites all prospective members to visit our facilities and have a go at tennis. Club policies are available on request. Ray Moyle is an experienced and certified club coach that can cater for juniors to adults, (All ages) at all levels and conducts a popular hotshots program. Please contact Ray for details on times and costs, 0400 181 908. I have been a member of the Reynella Tennis Club since I was 8 and I am now in my thirties. This Club has played such a pivotal role in my life and I did not fully appreciate it until I became a senior player in the club. I thought it was just fun playing tennis and that was all it was, however I have gained lifelong friends through playing at this club. I seem to spend more time with my friends at the tennis club than I do actually playing tennis and that’s what makes this club so wonderful. The Reynella Tennis Club was established in 1921. Two courts were originally located at the northern end of Reynella oval. The club relocated to its present position just after World War 2. The third court was built using entirely local volunteer labour, in the mid 1960’s. A further three courts were built in the late 1970’s. Originally the club played in the Blackwood Association and after a few years moved to the Southern Tennis Association. The club has produced many fine players, with several going on to play in the Adelaide Premier League Competition. Those who have won Southern Tennis Association titles include Barry Meier, Piret Vaughton, Lynette Whyatt(Green), Kate Whyatt, Tom Dyke, Ray Moyle, David Trott and Craig Smith. Junior Association Champions include Graeme Green, Kate Whyatt, leah Crawley, Carmel Alcock, Lynette Green, Kim Aiston, Stephen Upton, Ron Vos, Leon Burkhardt, Ben Neijaklke, Radek Kochanowski, Raymond Radice and Dylan Ellis.